Co-created with a technical art contractor for Efficiency Lab in 2018, Lofty Kingdom was an ambitious project that we are proud to have brought from conception to market in the span of one summer. It is cross-published on the Android and iOS app stores. Complex play including memory puzzles, empire building, branching storylines, economic strategy, and more. An extensible “power-ups” for dynamically modifying game rules. A sophisticated editor for scriptable dialogue trees. Monetization via rewarded ads and in-app purchases. Swappable visual themes and adaptive graphics quality settings. Optional augmented reality support via ARCore and ARKit. Utilizes Firebase for optional account management, syncing game saves, and collecting in-depth analytics data. 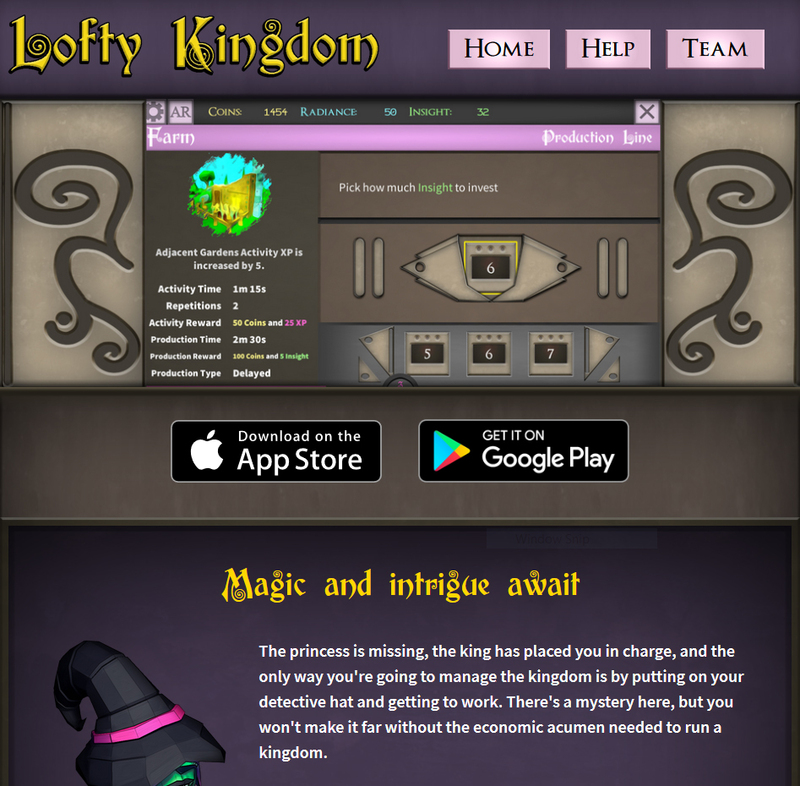 Please visit loftykingdom.com for more screenshots and information.